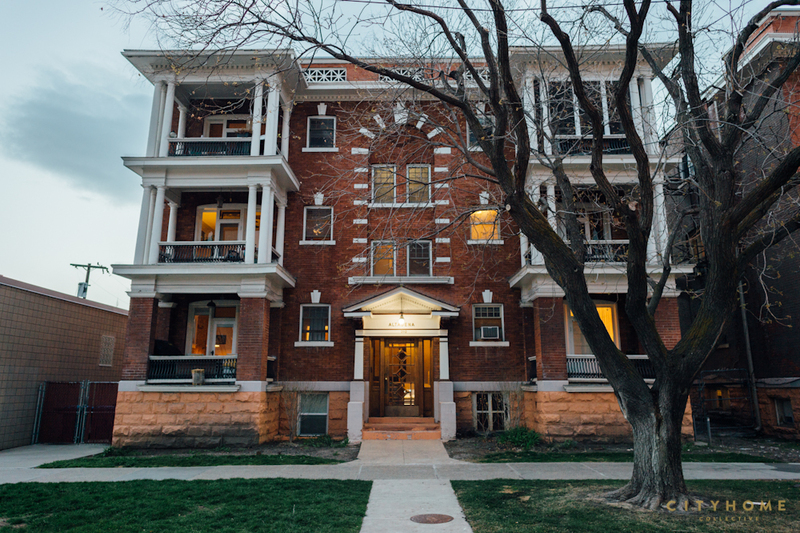 Property Profile: 10 two-bedroom units | 972 to 1,085 sq. ft. 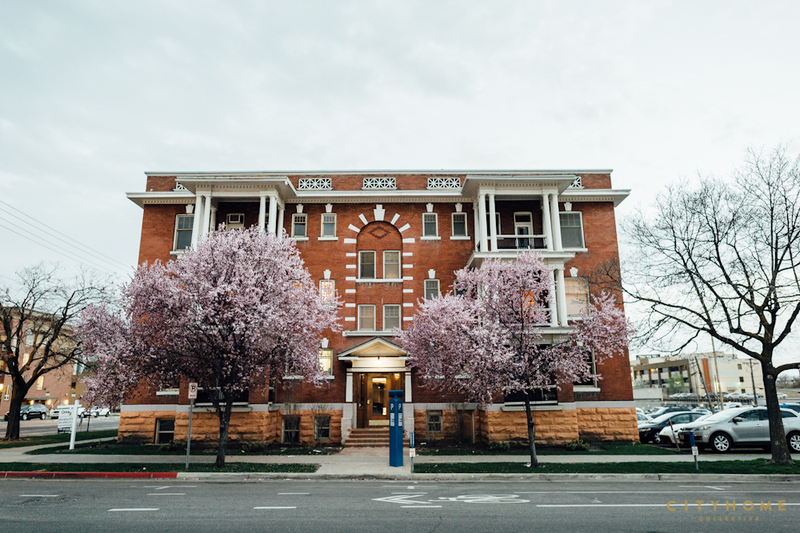 Built in 1906 by August Rudine, the Sampson Altadena building is on the National Register of Historic Places. 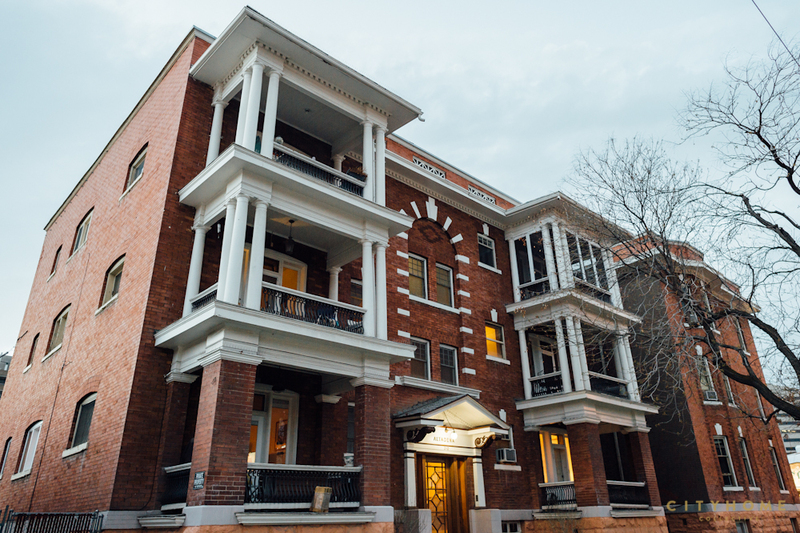 The 3 1/2-story building is stone and brick, and gives a solid nod to Neoclassical architecture with features like Baroque-style balconies with pendant lighting, Tuscan columns, accentuated keystones, and a dentilated pediment above the entry. Individual units boast high ceilings, and an air of timelessness can be seen in the woodwork, moldings, exposed brick, and leaded-glass windows. Bonuses include building security, pet-friendly policies, and available garden plots for residents. Sampson Altadena is located at 3rd & 3rd, which puts residents on the same block as The Green Ant, Misc. Boutique, City Creek Antiques, and Kayo art gallery, to name a few. Also a few steps away: Library Square, Copper Onion, Ichiban Sushi, Plum Alley, and Nobrow Coffee. Gallery Stroll is just outside your front door. Crackerjack location, beautiful building.